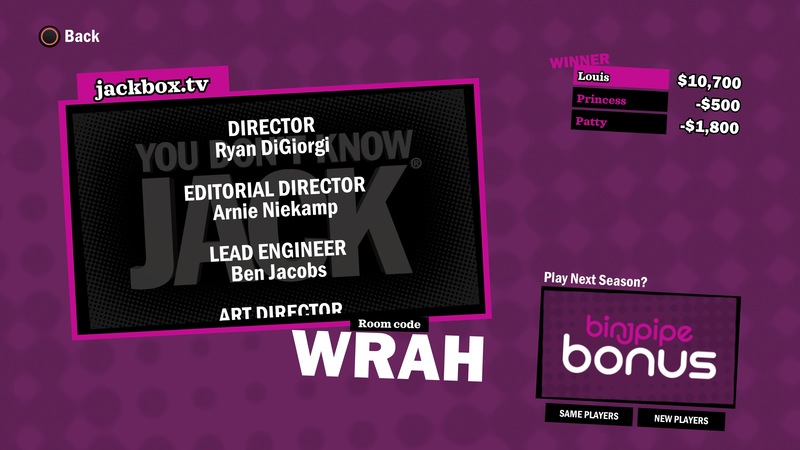 The Jackbox Party Pack team has unleashed The Jackbox Party Pack 5 for you and your friends, but the real question remains: Is this release party worthy or will it kill your next bash? 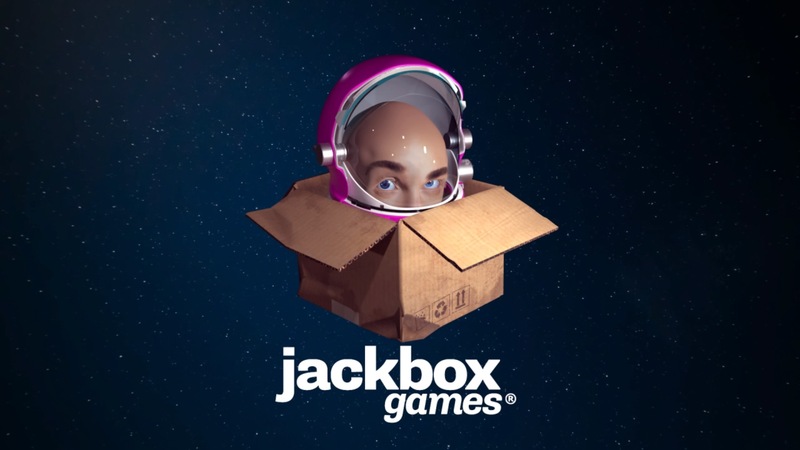 The Jackbox Party Pack series has been around for a few years now and each Party Pack gives you five or more separate games to play, bundled within the main title, that are designed for multi-player, party time fun. 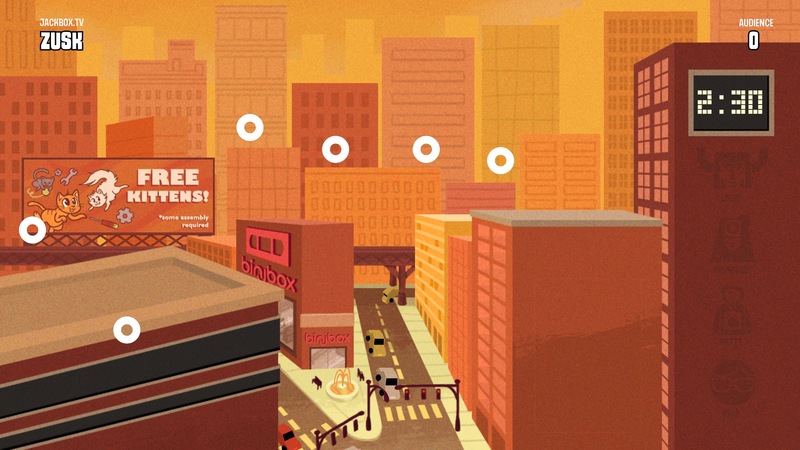 The game is centered on multi-player interactions and caters to a more adult audience. 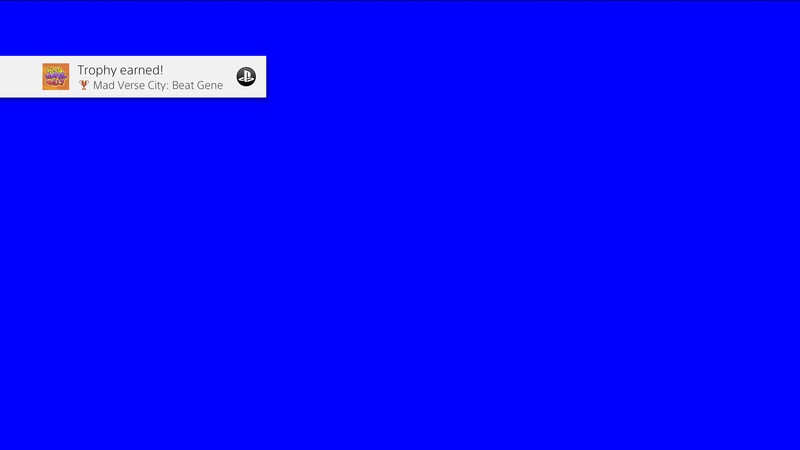 You can make some games family friendly if you want by selecting that option in the settings. 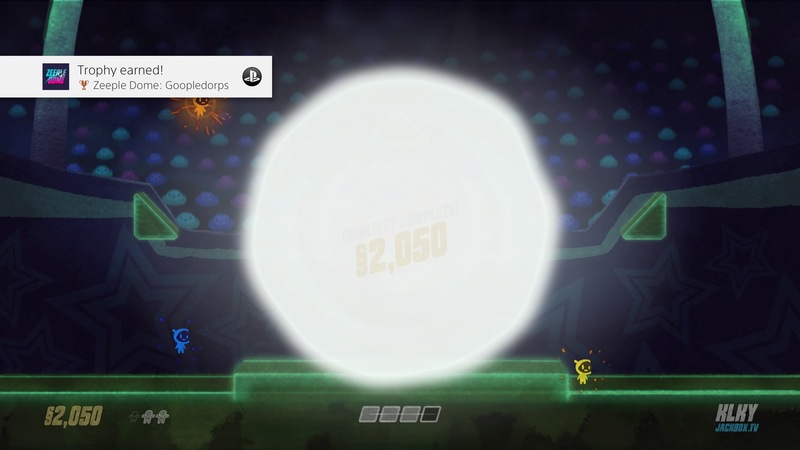 The games do not use regular controllers, but use mobile devices as controllers instead. No separate application is needed on your device as it just uses your web browser and most newer devices are supported. 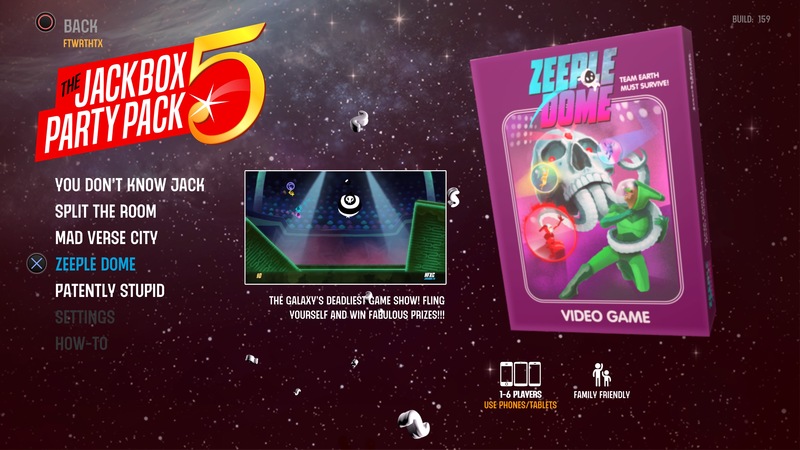 The Jackbox Party Pack 5 includes You Don’t Know Jack: Full Stream, Split the Room, Mad Verse City, Patently Stupid and Zeeple Dome. Each of these titles are very different from the rest, making them unique and making this pack very party friendly. 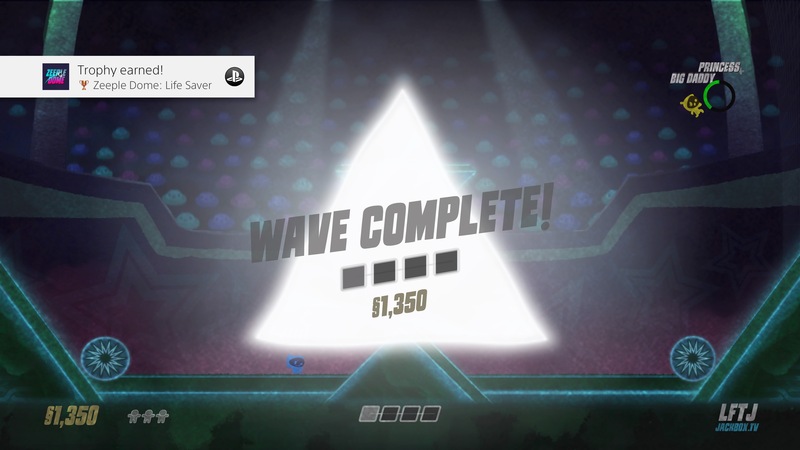 This really is five games in one, and the amount of fun you can have is only limited by your restraint or your lack of useless knowledge, depending on which game you are playing. 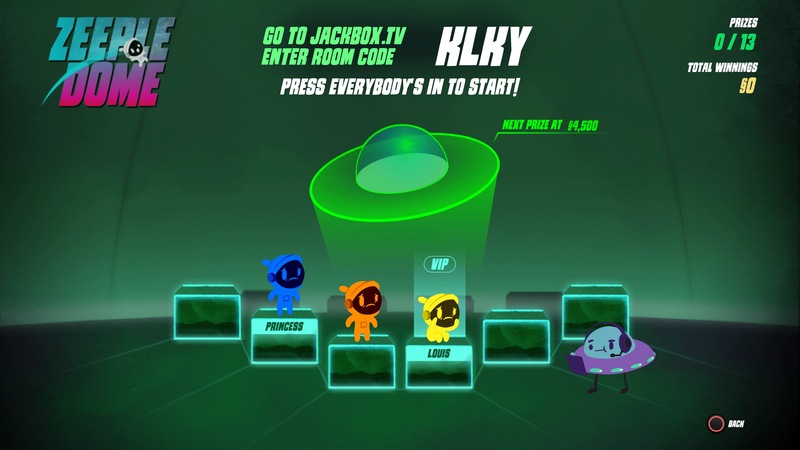 Each game can be viewed by anyone online, even if they aren’t in the same room, and all they need is your unique room code to watch, and sometimes vote, depending on the game being played. 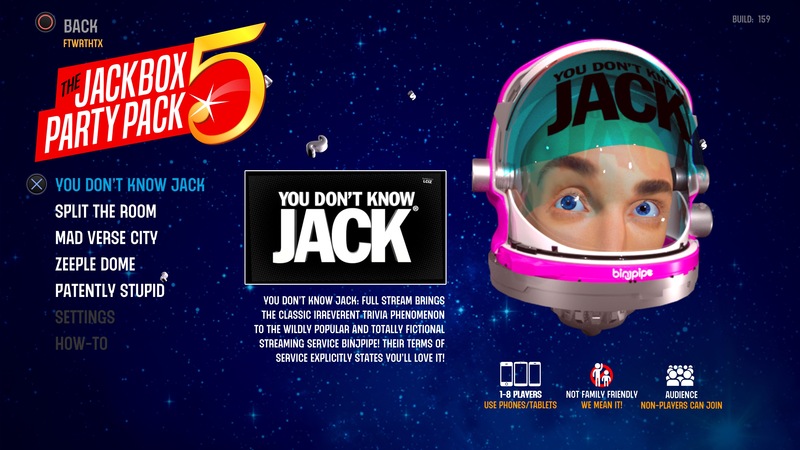 You Don’t Know Jack: Full Stream is the latest release of this series, and this version can be streamed easily to your own Twitch channel. 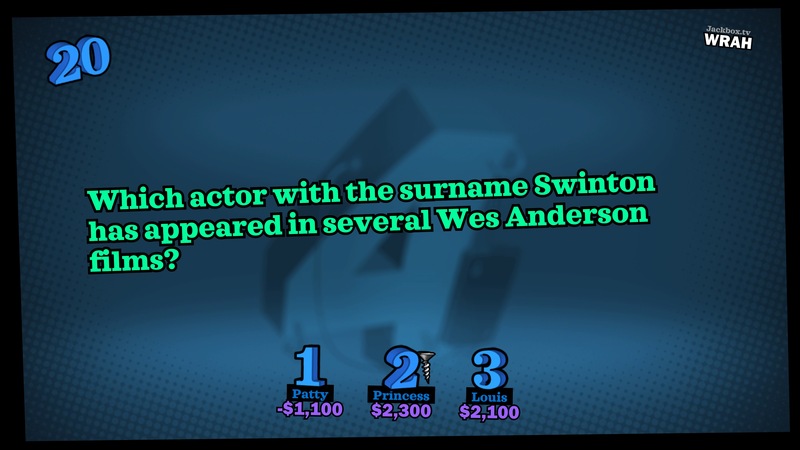 The game is a trivia based challenge game, asking a lot of useless information questions, with a few tid bits of info that will make you question the developer’s researching skills, and sometimes their sanity. Everything we checked out was spot on (we didn’t check their sanity, though), so put the bragging rights on the line and see who does know Jack. 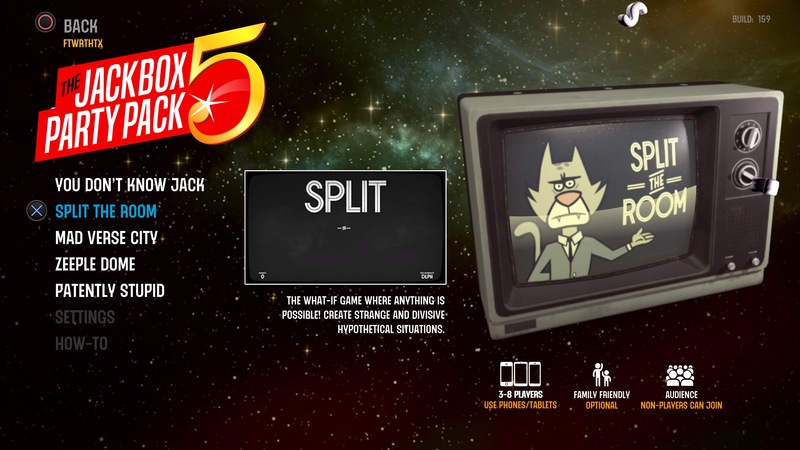 Split the Room is a game hosted by an omnipresent cat about creating “decisive dimensions”. Each player is given a hypothetical situation with a crucial element missing, and must fill in the blank. Then the situation is presented to the rest of the players, who each must pick where they side. 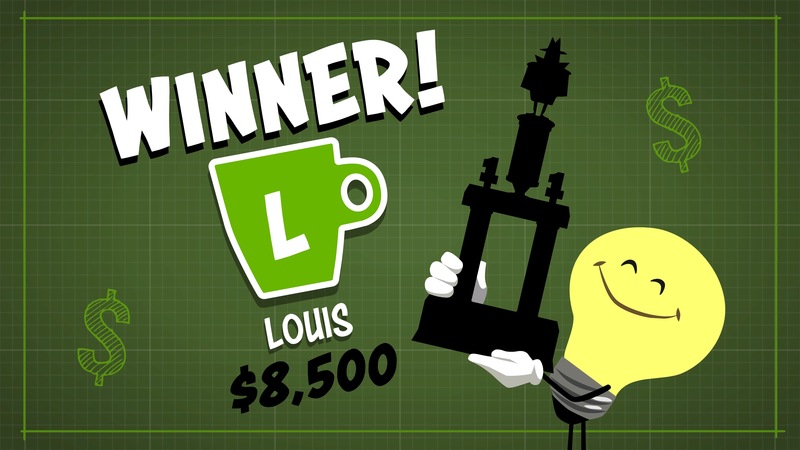 The player who completed the situation then receives points based on how evenly the votes were split. 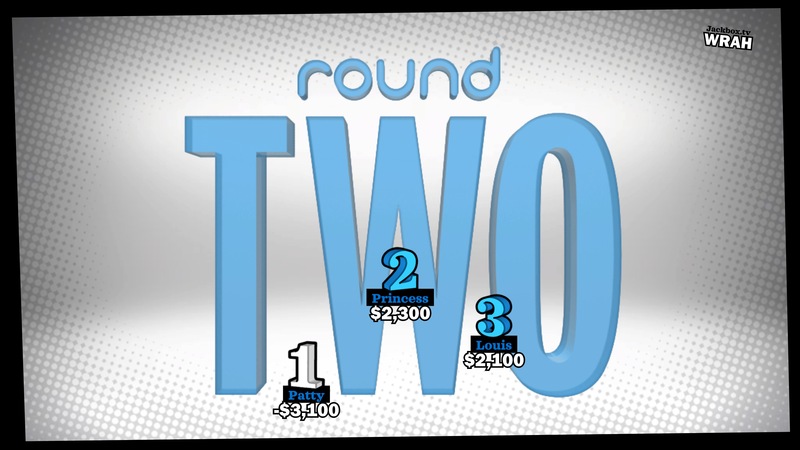 The final round, known as the “Decisive Dimension”, gives all players the same prompt. Creativity is the key to fun, but honesty in voting should also be kept in mind. 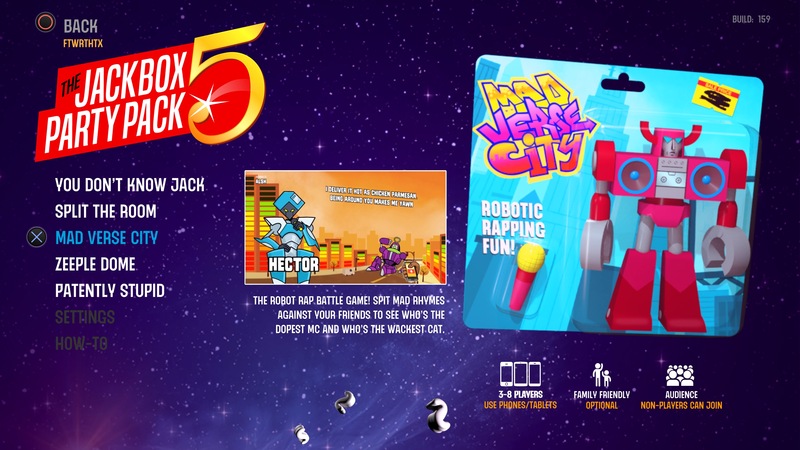 Mad Verse City has up to 8 players, as giant robots, trying to out-rap their opponents. 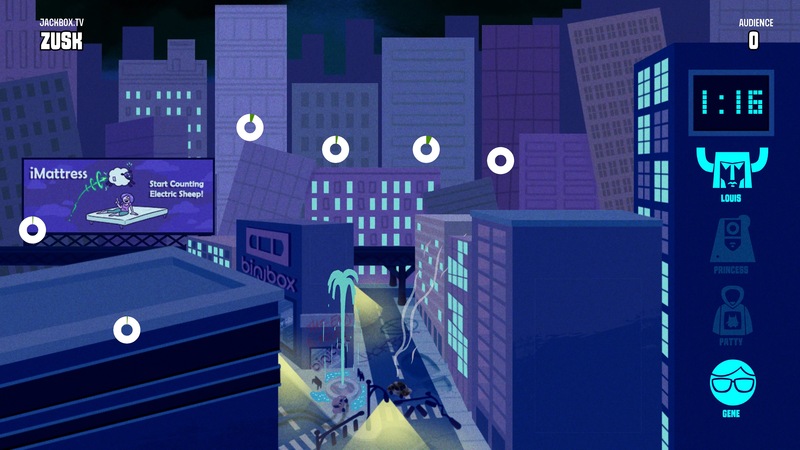 In each round, players are given who they are trying to out-rap, and use their device to fill in various prompts given to them. 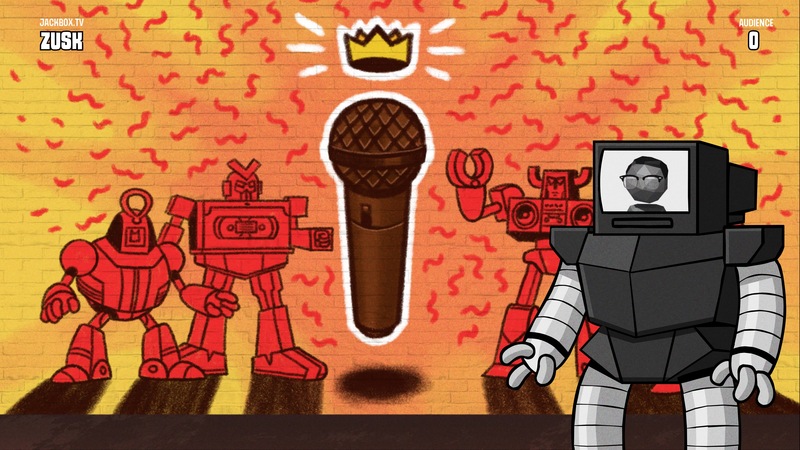 The game then runs through each rap using a text-to-speech voice, and players give points to the rap that they feel is the best. 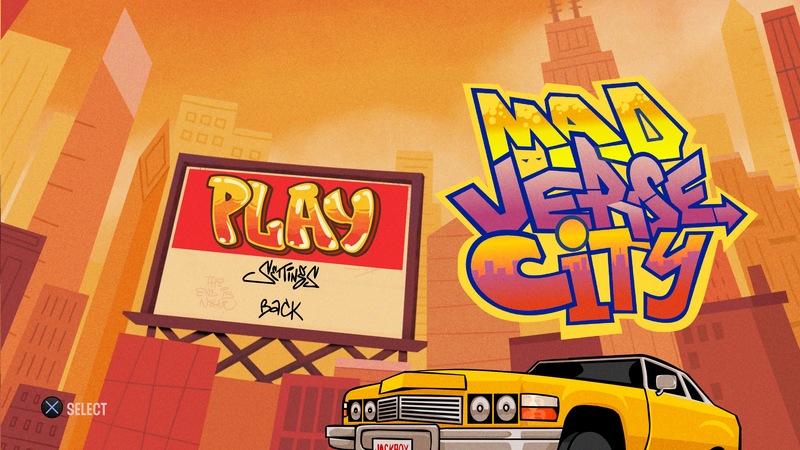 This was the hardest game for most of us to play, as who can rhyme on demand these days? We did find it more fun the meaner we got too each other, just keep in mind if someone in your party is thick skinned enough to take a good ribbing. 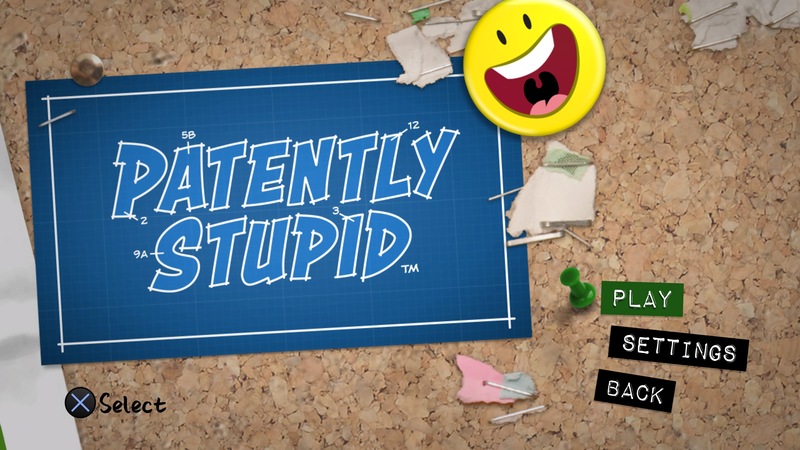 Each game of Patently Stupid is played in three rounds and we found this to be the most creatively fun game in the pack. 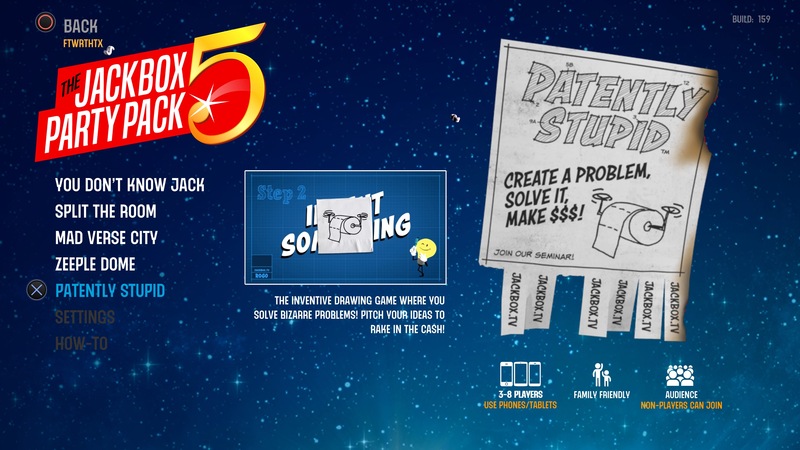 In the first round, all players are given two fill-in-the-blank prompts that describe an everyday problem that may need solving. 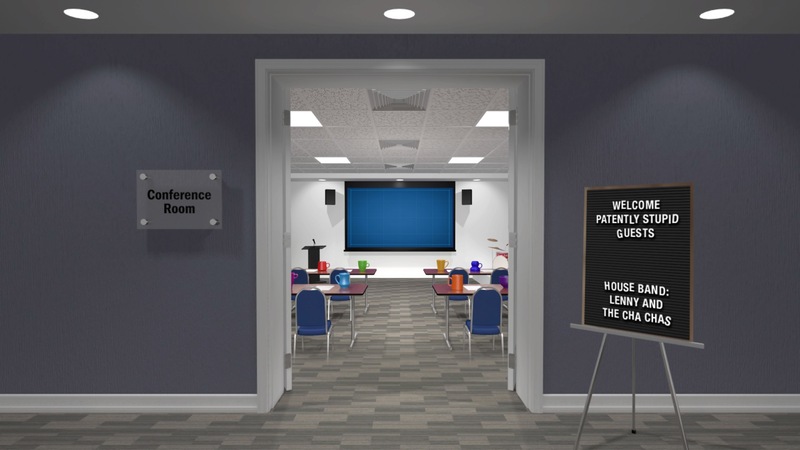 In the second round, half of those prompts with the completed answers are redistributed to the other players; each player then must draw out an idea for an invention that would solve that problem, give it a catchy name and a short description. 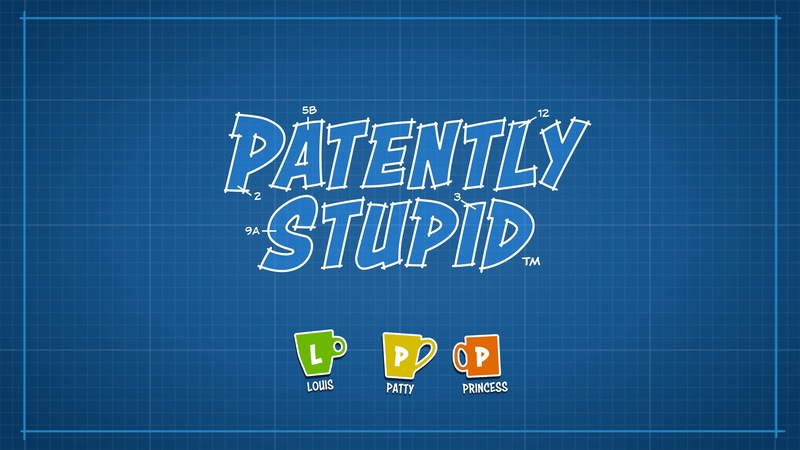 In the final round, these problems and inventions are presented to players; players who are local or audible can attempt to pitch and sell their invention. 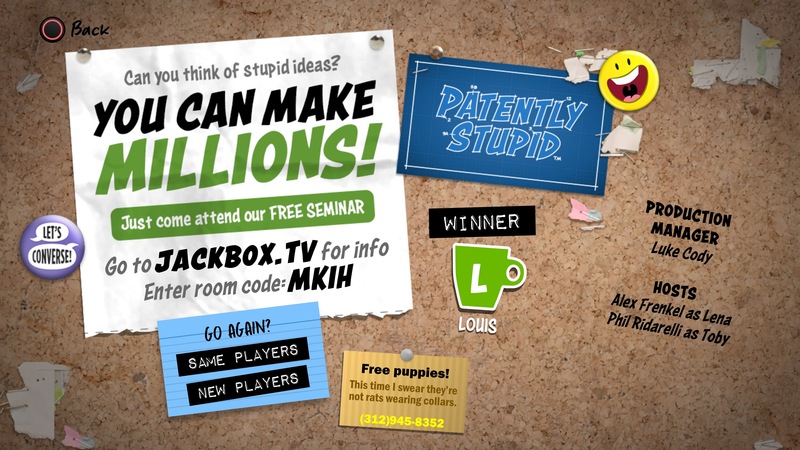 Players and audience members then vote on their top 3 favorite inventions. 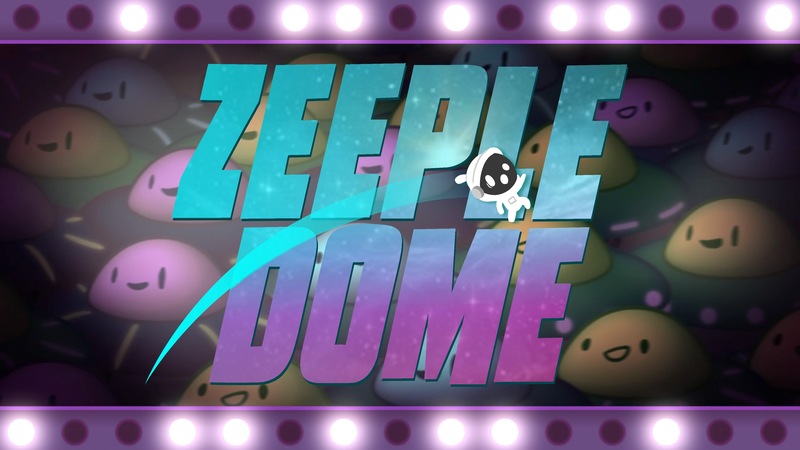 In Zeeple Dome, up to six players play as contestants in an alien combat arena, the Zeeple Dome, to take down other aliens. 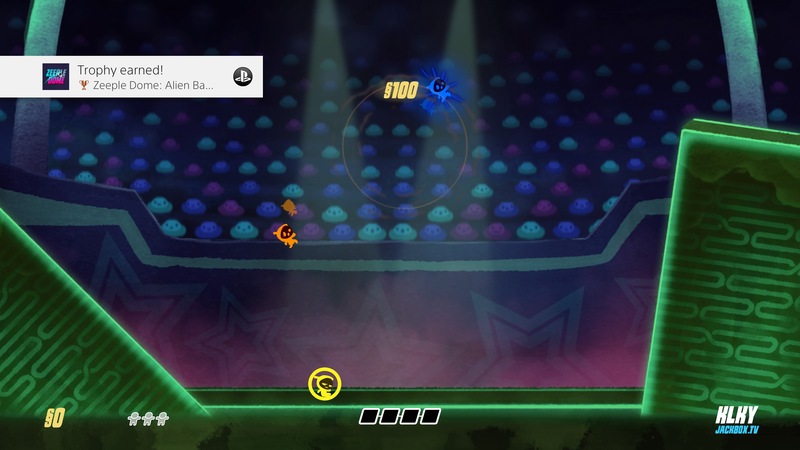 The game is physics based, and has players slingshot their characters across the game’s levels, cooperatively working together to eliminate enemies and gain powerups for their team. 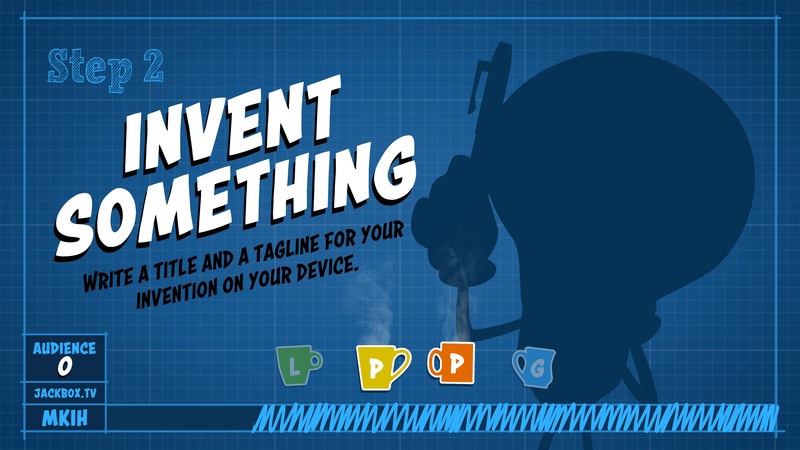 The launch app is pretty easy to use on your mobile device but does have a small learning curve. 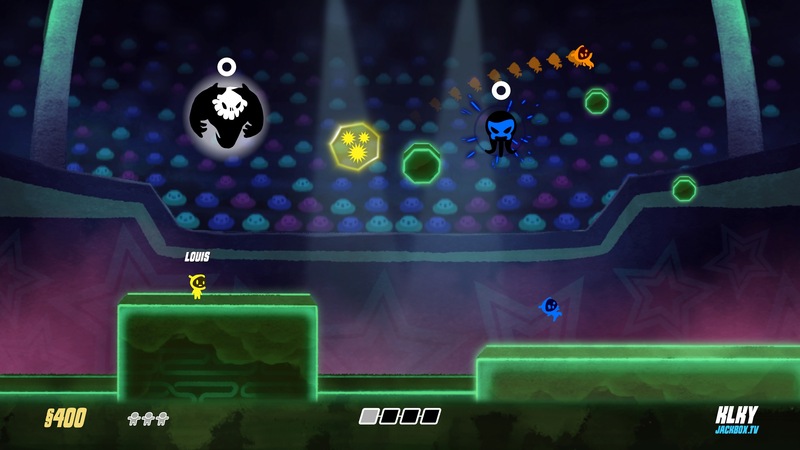 Each of the characters on the screen are color coordinated, and working together to take down the bad guys based on your character’s color is the key to clearing each wave. Once we figured this out, everyone started screaming which color needed to get busy hitting the bad guys. 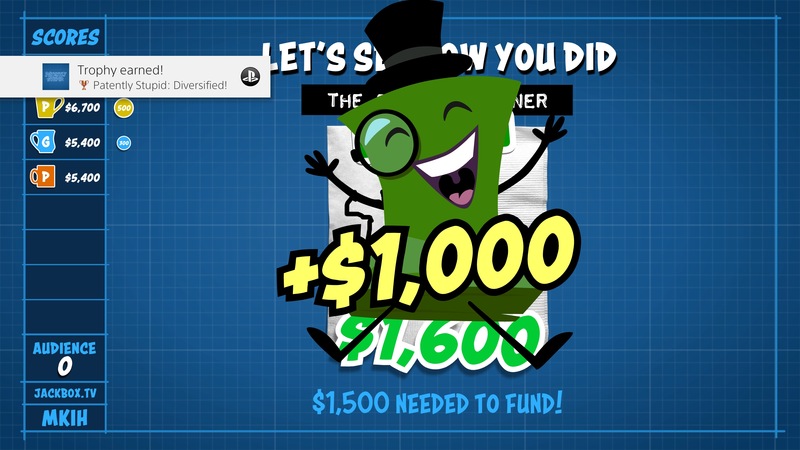 The Jackbox Party Pack 5 is a fun addition to the series and makes for some cool party fun. The in-game directions for each is a little lacking, but once you play through each game once, everyone should understand exactly what to do. Games that require user text input can be given more time for typing in the settings, and this is something that is a must for those uf us that have bug thumbs and are using little screens. Tablets like the iPad have a bit of an advantage as they are easier to use with the larger keyboard and screen, so keep that in mind when you are getting ready to play. 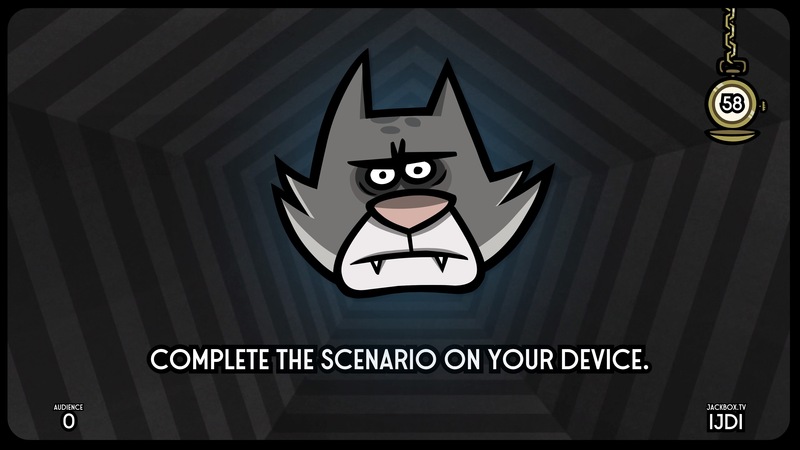 The Jackbox Party Pack 5 is available on multiple platforms, but there have been issues with trying to download and play it on the Amazon Firestick and Fire TV devices, so be sure to check compatibility for your device. Console players haven’t had any related issues. 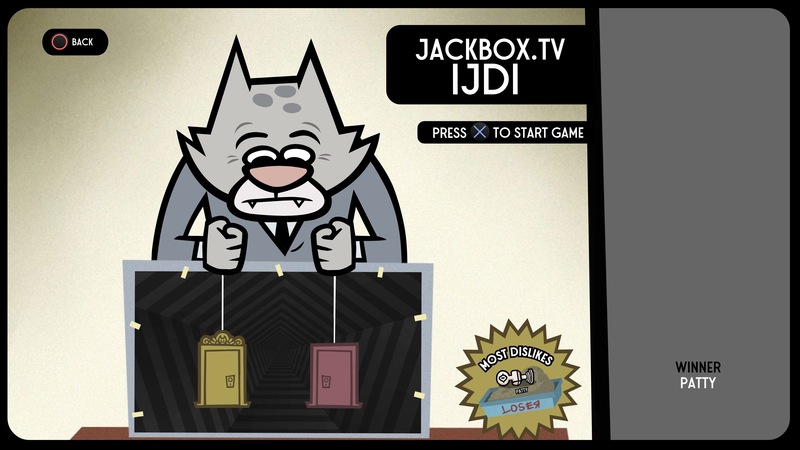 The Jackbox Party Pack 5 is a fun set of games that can liven up your party. 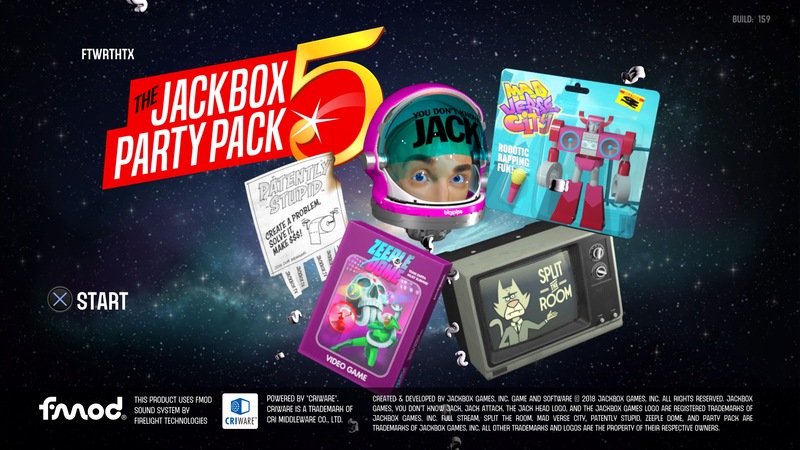 The Jackbox Party Pack 5 review code provided by publisher. For more information on scoring, please read: What our review scores really mean.